We buy houses and we do it fast! Regardless of amount, reason your selling, and condition of property we want to buy it. Sell your house to us because you can count on working with professionals. 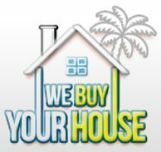 We have been buying houses throughout Florida since 1996. We pay you cash and there is never any costs to you. No commissions, no hassles, no obligations. We are just the easiest way to sell that property that you want to sell. When you sell your house to us, there won't be any stress of whether the financing will go through, the house will appraise in the value needed, the house will pass any inspection. There will just be cash in your pocket. Call us or visit our website. History Established in 1996 We started in 1996 focusing in buying property solely in Orlando and has since now moved to purchasing throughout the State of Florida and selected other states. Meet the Business Owner: Don M. Don has been passionate about real estate since 1996. His biggest focus is to make sure that the clients challenges are always taken care of. He comes from the believe that when you take care of the clients headache then you have done your job. That is what Don focuses on, is resolving the problem that the customer has and doing it in a way that the client has little if any involvement so they can enjoy the process. Meet Ms. Jessika Gomez who offers her professional Cervera Real Estate service. Your dream of buying a luxurious apartment can be true. The Real Estate cooper city acts in the best interests of the owner to maintain the property, keep it occupied with tenants, collect rents.